Anything is dangerous if you take enough of it. This is a good reason to keep all your prescriptions behind lock and key. But some prescriptions are more dangerous than others. Painkillers – Opioid prescription painkillers are some of the most addictive substances available by prescription, and they’re at the root of this society’s current opioid addiction Narcotic painkillers like Percocet are also addictive and dangerous. Sleeping pills – Ambien is a commonly prescribed sleeping pill with many side effects. One of the most concerning effects is addiction. Tranquilizers – Tranquilizers may be prescribed as anti-seizure medications or to treat severe anxiety. However, it is easy to become addicted to these prescriptions. Xanax is common mood-stabilizing drug in this class that many people find themselves a slave to. Stimulants – Stimulants like Adderall and Ritalin used to treat attention deficit disorder are highly addictive. 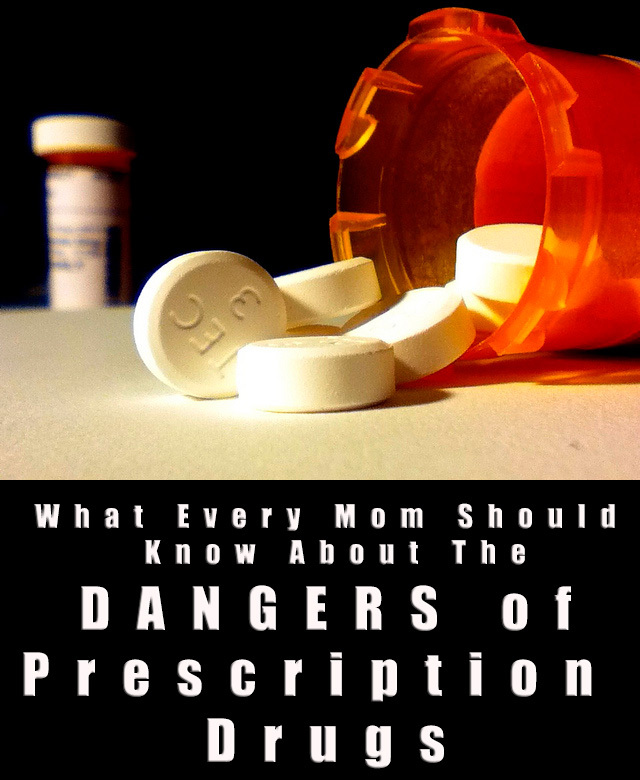 When you’re prescribed a prescription painkiller as a mom, you have one concern for more than one person. You fear that your prescription will fall into your children’s hands, but you must also worry about your own chances of getting addicted. Even if you don’t have the genetic makeup, family history, and demographics of someone who is likely to get addicted, you can still become an addict. Addiction is a disease that takes place in the brain. Some people are wired to become addicted faster than others, but everyone who uses an addictive substance is vulnerable. We know that addiction can happen to anyone, but it’s less likely to happen without ample opportunity. If the doctor suggests an addictive prescription for anyone in your family, first ask about alternatives. Melatonin may not have the same immediate effect as Ambien, but it’s a relatively safe and natural alternative with fewer side effects. If there aren’t any good alternatives for an addictive prescription, be sure to take your pills only when needed. If it’s a sleeping pill, only take it on nights when you absolutely need a full 8 hours or when you can’t seem to fall asleep any other way. If it’s a painkiller, reserve it for the moments when you’re doubled over in pain instead of taking it when a strong NSAID pain reliever may do the trick. Using drugs sparingly will help keep your tolerance low, which will also help you avoid addiction. Regardless of whether you have young kids or teenagers, lock up your prescriptions. It’s never okay to keep OxyContin in your medicine cabinet. You never know who could be swiping pills when you’re not looking. Finally, be sure to keep an open dialogue with your kids about drugs and addiction. Make sure they understand that this is a disease that will control them. Addiction does not ask permission nor is it easy to control. After outlining the dangers, let your kids know that they can talk to you about anything. Even if they’ve messed up or experimented. They should feel safe talking to you about anything. Addiction is a major problem in our society, and it often begins with prescription drugs. Understand the dangers and take measures to keep your family safe.